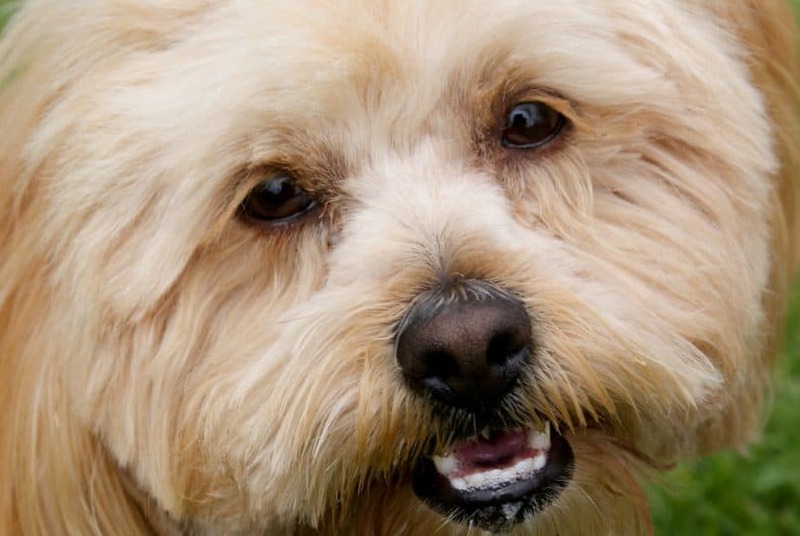 Small dogs usually have big personalities, and the Lhasa Poo is no exception. This crossbreed is loving, playful, and protective. This tiny dog is also very vocal, and it won’t hesitate to bark at strangers and any perceived threat to its human pack. Let’s explore the many endearing qualities of the Lhasapoo and find out why it’s an excellent companion dog. How big do Lhasa Poo dogs get? Does it look more like a Lhasa Apso or a Poodle? What is the temperament of a Lhasa Poo? How do I train a Lhasa Poo? Is the Lhasa Apso Poodle mix an active dog? Lhasa Poo care: how difficult is it? What health issues do Lhasa Poos suffer from? How much does a Lhasa Poo cost? 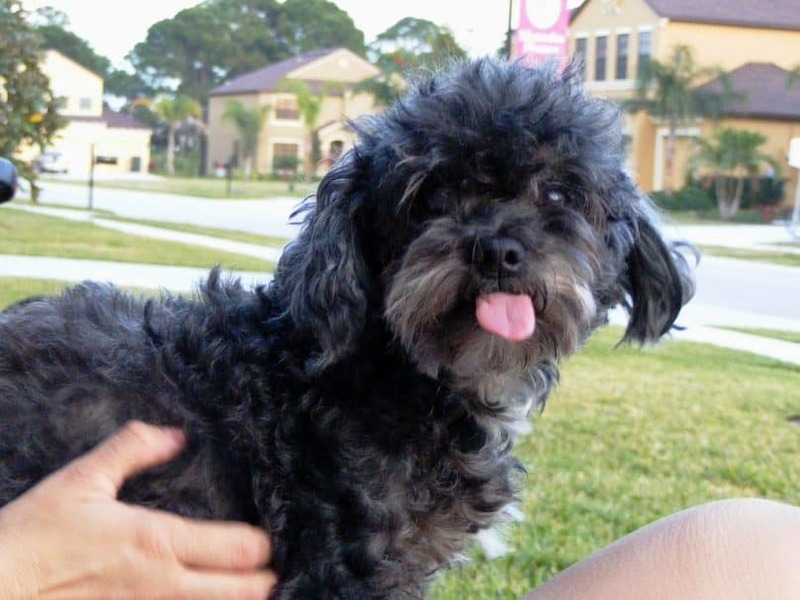 Is the Lhasapoodle the right dog for you? Sometimes called a Lhasapoodle, Lasso Poodle, or Lhaso Poodle, the Lhasa Poo is a cross between the Lhasa Apso and the Poodle. These old breeds have passed down many positive qualities to the Lhasa Apso Poodle mix. The Lhasapoodle gets its natural protectiveness and sharp bark from the Lhasa Apso. The Lhasa Apso has been bred to serve as interior guard dogs at Tibetan monasteries, using its keen hearing to detect the presence of intruders and warning monks using barks. The Poodle, on the other hand, gives the Lhasapoo its intelligence and playfulness. Whether Standard, Miniature, or Toy, Poodles are well-known for their love of playing games, especially with young children. Like Poodles, the Lhasa Apso and Poodle hybrid dislikes being left out of family activities. The Lhasa Apso and Poodle mix is a small dog, especially if bred from a Miniature Poodle. A full grown Lhasa Poo is only 9 to 13 inches (22 to 33 cm) tall and weighs anywhere from 10 to 20 pounds (4 to 9 kg). You may find some breeders advertising having mini Lhasa Poo, teacup Lhasa Poo, or toy Lhasa Poo puppies for sale. These puppies are most likely bred from smaller versions of the Poodle, namely Mini Poodles and Toy Poodles. This crossbreed’s compact size makes it suitable for apartment living. The Lhasapoo won’t need plenty of space, especially since it will stick to your side and follow you around when you’re home. The Lhasapoo’s appearance is a good balance of the Lhasa Apso’s and Poodle’s physical features. This hybrid dog has a sturdy body like the Poodle, with a small round head, almond-shaped eyes, short legs, and floppy ears. Lhasapoos’ coats may come in different textures; some will have tight curls like the Poodle, straight hair like the Lhasa Apso, or loose, wavy curls. Most Lhaso Poodles have a soft coat of wavy or curly hair. No matter the texture, the Lhasa Apso Poodle mix’s hair can grow to be lengthy, a trait it inherits from the Lhasa Apso. The hair comes in black, brown, tan, white, or a mixture of these colors. This crossbreed is sweet and loving, with a tendency to form close bonds with one person. 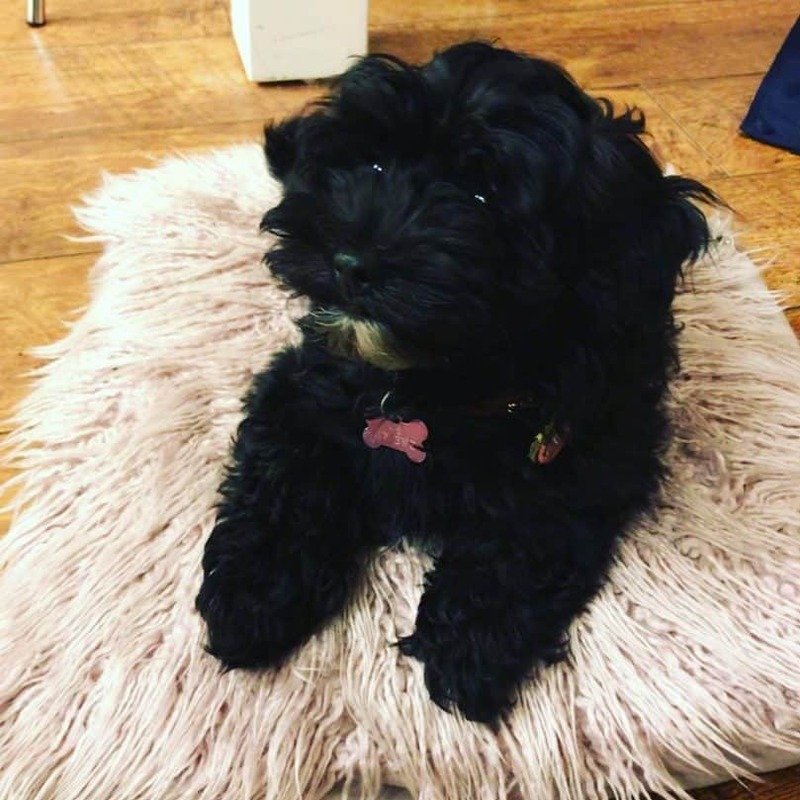 As we mentioned earlier, you can expect to spend plenty of time having the Lhasapoodle in your lap or by your side anytime you’re in the house. However, its bond with one person doesn’t mean that this crossbreed doesn’t enjoy being part of a family. The Lhasa Apso Poodle hybrid has a playful, friendly nature, so it gets along well with kids and other pets. Given its Lhasa Apso heritage, this crossbreed can also be suspicious of strangers. It will be protective of you and your family, barking to warn you of potential threats. Its vigilant nature makes the Lhasa Apso and Poodle mix an excellent watchdog. While the Lhasa Poo’s guarding instincts can be beneficial for your family, excessive barking can be a problem with this crossbreed. It may even bark at guests in your home or at strangers it encounters on the street. Fortunately, you can train your Lhasapoo and control its barking. Like other similar-sized dogs, the Lhasa Apso-Poodle cross may also defensively snap at overly curious or persistent kids, especially if they pull on the dog’s hair and cause unintended harm. This is why it’s best to keep a close watch on your children when they’re playing with the Lhasapoo. Lhasapoos are intelligent and eager to please, thanks to their Poodle parentage. These crossbreeds are easy to train, quickly picking up commands and non-verbal cues from their owners. These hybrids can be willful, especially if their temperament leans more towards their Lhasa Apso parent. It’s important that you remain patient and calm even when your Lhasa Apso Poodle mix is being particularly stubborn. Frequent training sessions, along with positive reinforcement like praise and treats, can go a long way in encouraging your dog to adopt positive behavior. The Lhasapoodle also benefits from early socialization, which ensures that the crossbreed can get along with other dogs and behave properly around people. Lhasapoos are moderately active dogs, so they’ll be happy with 60 minutes of exercise per day. This hybrid will enjoy brisk walks around the neighborhood or just some one-on-one playtime indoors. Lhasa Poos also love to swim, like their Poodle parents. If you can’t give your Lhasa Apso Poodle hybrid outdoors time, make sure to play plenty of games with it. Hide and seek and treasure hunts are great indoor games that you can play with your Lhasapoo. Chew toys will also help your dog work off its energy. This crossbreed is athletic enough to participate in dog sports like obedience, agility, and rally. These activities are a good way to physically and mentally stimulate your dog to keep it happy. Given its size, the Lhasa Apso and Poodle mix won’t need more than 1 cup of dry dog food each day. Make sure to divide this amount of food into at least two meals to keep your dog at a healthy weight. Dog food for small breeds is also best for the Lhasa Poo’s diet. The best dog food for Shih Tzus and Chihuahuas, for instance, are more calorie-dense because these dogs typically don’t eat large amounts of food. By feeding your Lhasa Apso Poodle hybrid kibble that’s specifically designed for small breeds, you can make sure that she’s getting the right amount of calories. This is where you need to put in the effort. Lhasapoodles need to be brushed every 2 to 3 days to prevent mats and tangles from forming in their fur. You’ll have to brush your Lhasa Apso Poodle mix more often if it has longer hair. Due to the length of its coat, this crossbreed needs to be bathed more often compared to other breeds. A bath every 4 to 6 weeks should help keep your Lhasapoo’s coat clean and healthy. Pay special attention to your dog’s face, as the Lhasapoo is one of the breeds that commonly develop brownish tear stains under their eyes. Make sure to wash your dog’s face daily, wiping beneath the eyes, to prevent the stains from setting into the fur. This hybrid’s coat also looks its best when it’s groomed every 4 to 6 weeks. You can take your furry little pal to a professional groomer or do the trimming yourself with a pair of clippers. Give your Lhasa Poo a puppy cut and clip its hair to an inch or two all over its body. A puppy cut makes it easier for you to brush your Lhasapoodle and keeps shedding under control. Most Lhasa Apso Poodle mixes are considered hypoallergenic because these dogs shed less fur compared to other breeds. This crossbreed may also inherit the low-shedding qualities of the Poodle. The Lhasapoodle is a great dog to consider if you or a family member suffers from allergies to dander. The Lhasa Apso Poodle cross is vulnerable to the health problems that affect the Lhasa Apso and the Poodle. Health issues commonly seen in Lhasapoodles include eye problems, patellar luxation, hip dysplasia, and kidney problems. These hybrids may also suffer from Addison’s disease and Legg-Calvé-Perthes disease, a condition that results in the degeneration of the dog’s femur bone. However, with early health screening, regular visits to the vet, and a proper diet, the Lhasa Poo has a life expectancy of 10 to 15 years. Like other designer dogs, the Lhasa Apso Poodle crossbreed tends to be on the expensive side. Lhasa Poo puppies may cost anywhere from $400 to $1000, depending on the puppy’s parents. You can also opt to rescue a Lhasa Poo dog instead. Check your local shelters if they have any Lhasa Poos up for adoption. 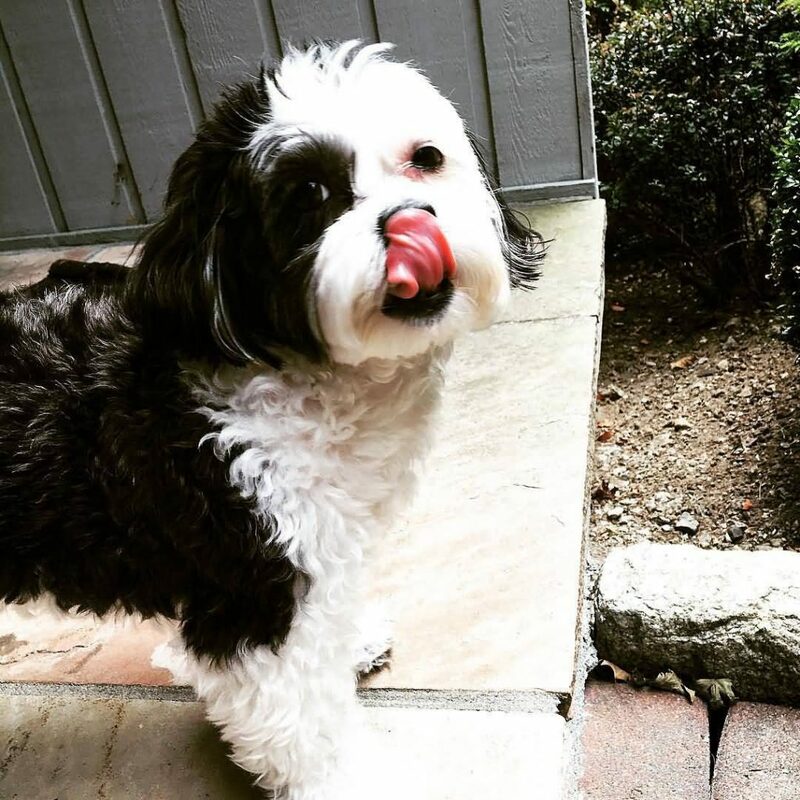 As Poodle mixes, these crossbreeds have a lot in common with the Lhasapoodle. 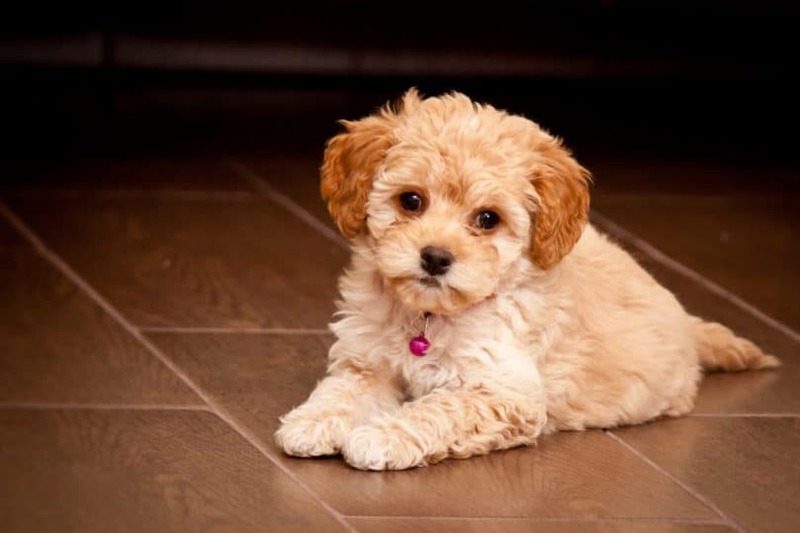 A cross between the Maltese and the Poodle, the Maltipoo is known for its intelligence and loving nature. They’re little barkers, too, like the Lhasa Poo. The Lhasa Apso Poodle mix and the Shih Poo (Shih Tzu and Poodle mix) are both affectionate dogs that make excellent pets for any family. The Lhasapoo is a sweet and playful crossbreed, perfect for people who are looking for a companion dog. Their low-shedding qualities also make them ideal pets for those who are suffering from allergies to dander. However, the Lhasa Apso Poodle hybrid must also be trained at an early age to control its barking. Socialization is also needed to curb the Lhasapoo’s suspicion of strangers. What do you think about this cuddly canine? Tell us about your thoughts in the comments!